Know a high caliber student who would be a deserving recipient of USM’s full-tuition Jubilee Scholarship? We’d love to learn more! To be considered for the Jubilee Scholarship, prospective students must meet two of three criteria: a minimum high school GPA of 3.7; a minimum ACT score of 26; a top 10 percent ranking in their high school class. Nominate a potential Jubilee Scholar today! 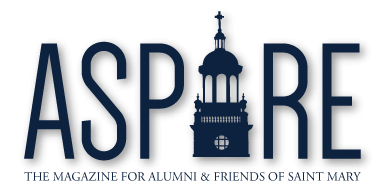 Send names and contact information via email to admiss@stmary.edu or call the Admissions Office at 913-682-5151.